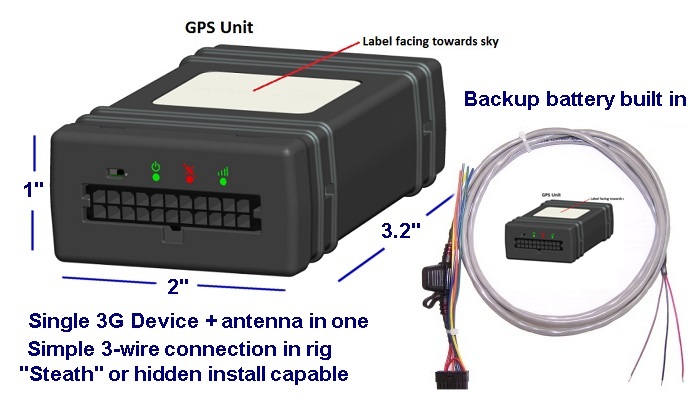 GPS online vehicle and commercial fleet equipment tracking – CHEAP! $29.95 per month per vehicle! Did you know? You can automatically import all of your quarterly miles into our IFTA calculator here if you have one of our tracking units. No more manual entry! WOW! – Now with a 30-day free trial for one truck to try it out!!!! ALSO: as an iOS or Android app to view your fleet on your mobile device! 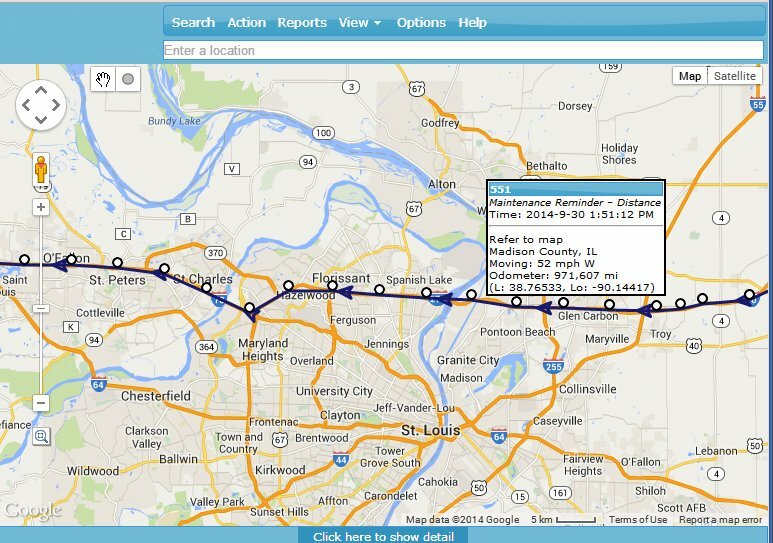 Real-time online GPS inventory– know where your vehicles or equipment are right now. Better dispatch management thru knowing where all of your fleet is at all times! 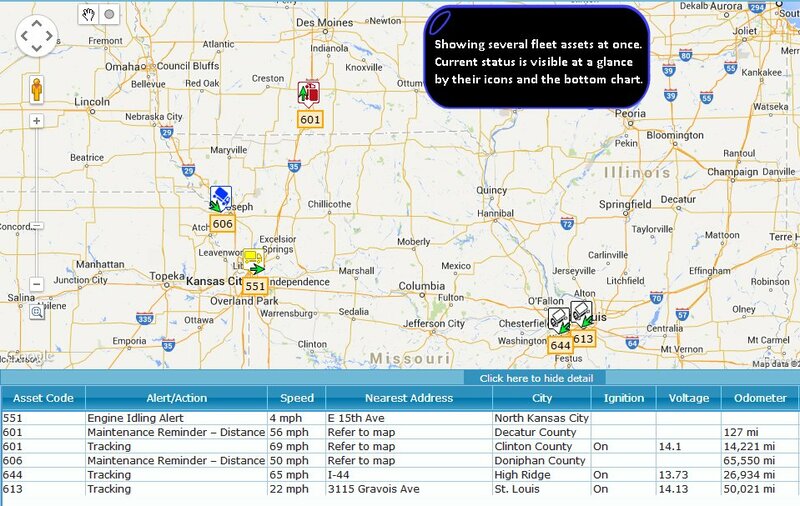 Includes free “real-time traffic overlay” so you can make better real-time fleet and truck routing decisions when needed! STATE BY STATE MILEAGE REPORTS from your computer for IFTA fuel tax. Automated odometer – know the accumulated mileage and/or hours of operation of your vehicles or construction equipment at predetermined times AND set up automatic maintenance reminders. 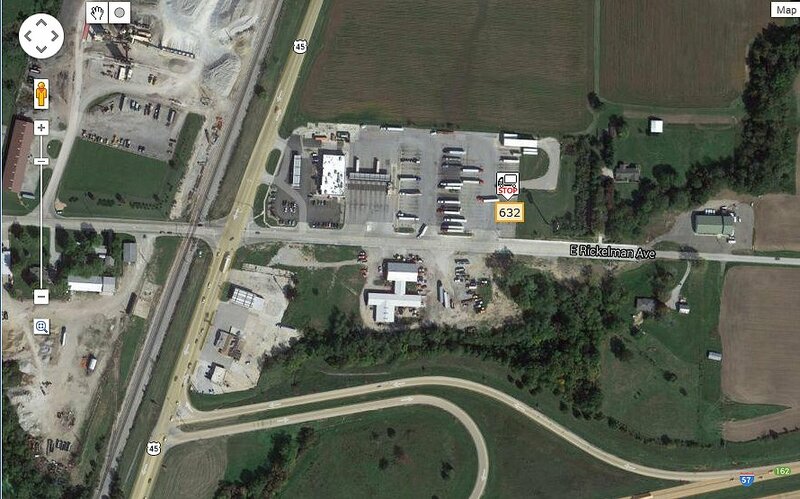 Delivery arrival and depart – Always know when your truck loads or fleet service vehicles arrived and left locations. Idling Time / Stationary information – know when your vehicles are stopped, idling, and for how long. CURRENT VOLTAGE and LOW BATTERY notifications. Excessive speed and driver safety – manage the safe driving behavior of your fleet and help avoid costly issues that hurt your CSA score. Includes built-in accelerometer to detect fast braking, fast accelerating, or swerves! Simple 3-wire install. Internal backup battery built in!